Camel milk has been deemed to hold super food benefits. Camel milk prevent diabetes, improve the immune system, stimulate circulation, treat autism, lessen allergic reactions, promote growth and development, protect against certain autoimmune diseases and boost heart health. Camel milk is rich in proteins making it a great way to bulk up your protein intake without consuming synthetic protein supplements. Camel milk contains 200 different types of protein. Camel’s milk is a natural source of an insulin-like protein, which means drinking it can help regulate glucose levels. 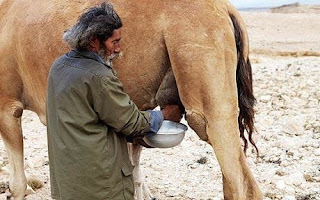 Camel’s milk help the people manage their diabetes better. It’s the next best thing to mother’s milk. No other animal milk source comes as close to providing the ideal nutrient blend that our species needs. 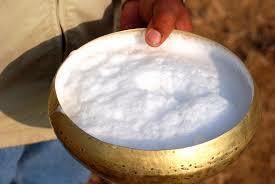 Indeed, in many nomadic cultures camel’s milk has been used as a medicine to treat malnourished children. Camels have a much lower carbon footprint than dairy producing cows or goats. 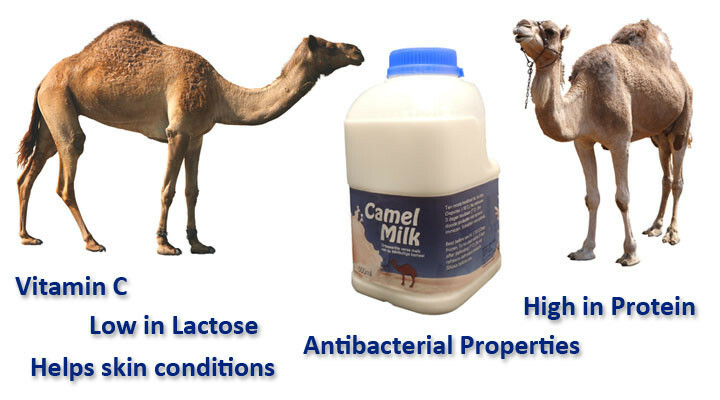 Camel milk comes loaded with antimicrobial proteins, which can help keep our immune systems functioning at their best. Specifically, camel’s milk is rich in micro-sized immunoglobulin, which can help target and neutralize foreign antigens. The small size of the antimicrobial agents is key – because these proteins are so tiny they can cross the blood-brain barrier and get nutrients into and toxins out of normally hard-to-reach cells. Camel’s milk contains ten times the amount of iron as cow’s milk, therefore, the camel milk help to prevent anemia and improve circulation. 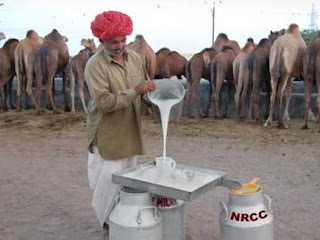 Camel’s milk is non-allergenic and helps reduce allergic sensitivity. People with lactose intolerance have no trouble consuming camel’s milk. Camel’s milk is loaded with complex fatty acids, which can boost levels of HDL (“good”) cholesterol while reducing levels of LDL (“bad”) cholesterol. As a result, camel’s milk appears to counteract arteriosclerosis while reducing the risk of stroke, hypertension and heart disease. It’s an excellent source of probiotics, which promote the growth of healthy bacteria in the digestive system. There is anecdotal evidence to suggest camel’s milk may benefit children with autism. 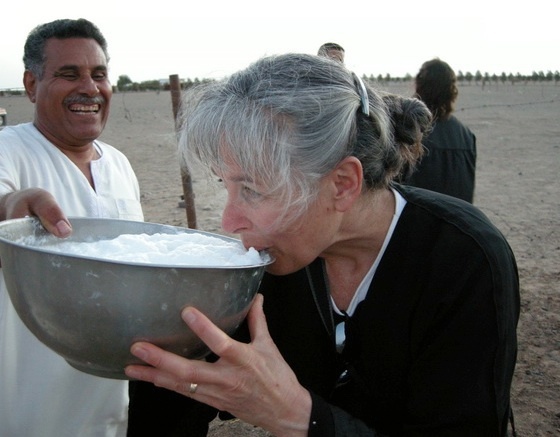 Camel milk contains an abundance of proteins, including types that are not found in cow or goat milk. Consequently, it is very good at promoting the health of the body’s muscles, bones and organs.